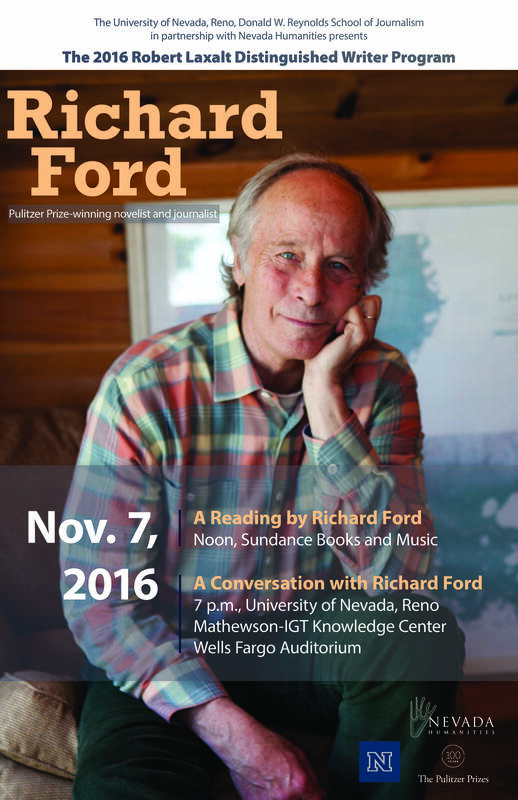 The University of Nevada, Reno and Donald W. Reynolds School of Journalism, in partnership with Nevada Humanities, will honor Richard Ford as the 2016 Robert Laxalt Distinguished Writer Monday, Nov. 7. The 2016 program is also part of the Pulitzer Prizes Centennial Campfires Initiative, a joint venture of the Pulitzer Prizes Board and the Federation of State Humanities Councils in celebration of the 2016 centennial of the Pulitzer Prizes, and is supported by the Pulitzer Prizes Board. Ford is the author of 11 fiction books, including the New York Times best-selling Independence Day, Canada and Let Me Be Frank With You. His short stories have been widely anthologized. He is a prolific essayist and journalist, writing often on politics for Le Monde, The Financial Times, the Frankfurter Allgemeibe Zeitung and the Dagens Hyheter in Sweden. His work has been translated into 30 languages, and has been awarded the Pulitzer Prize, the Prix Femina in France, and in 2016, the Princess of Asturias Prize in Spain. He is a Mellon Professor in Humanities at Columbia University, and lives in East Boothbay, Maine, and Billings, Montana. “For Reynolds School of Journalism students to have the opportunity to engage with a preeminent writer such as Richard Ford is a transformative experience,” Reynolds School Dean Al Stavitsky said. Ford will participate in two free public events during his visit to Reno Monday, Nov. 7. “A Reading by Richard Ford,” will take place at Sundance Books and Music, located at 121 California Ave., from noon-1 p.m., Monday, Nov. 7. The event is free and free parking is available at Sundance Books. This event is sponsored by Nevada Humanities. 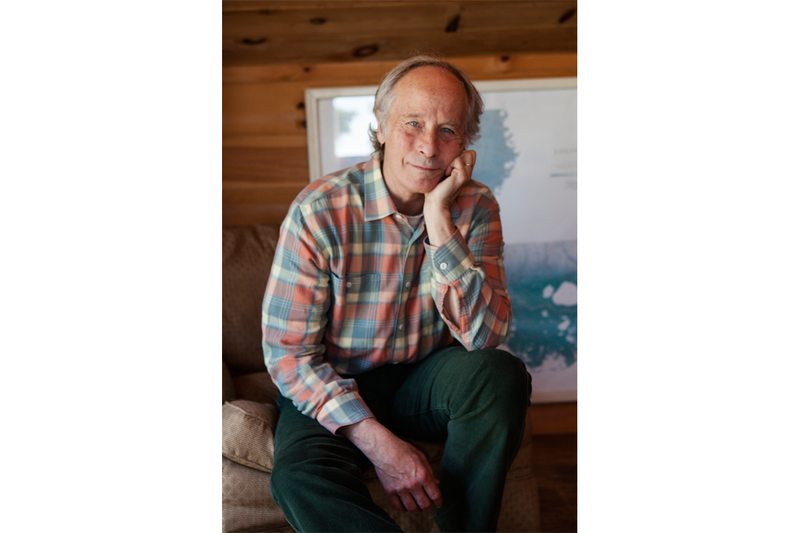 “A Conversation with Richard Ford,” a public talk moderated by Stavitsky, will take place at 7 p.m., Monday, Nov. 7, at the University of Nevada, Reno’s Mathewson-IGT Knowledge Center’s Wells Fargo Auditorium. Free parking will be available on the fifth floor of the Brian J. Whalen Parking Complex on North Virginia Street, just south of Lawlor Events Center. The event is sponsored by the Donald W. Reynolds School of Journalism. PRSSA to host regional conference: PReimagined.